NASSAU, Bahamas, Jul. 27, CMC – The Government has embarked upon a programme to ban the use of plastics and Styrofoam which are proving detrimental to the country’s eco and marine system. In an effort to make the public aware of the planned policy, the first in a series of town hall meetings on Single-use Plastics & Styrofoam Ban was held earlier this week. Addressing the gathering, the Prime Minister Dr. Hubert Minnis underscored the importance of banning the use of plastics and Styrofoam. The aim is to also simultaneously address marine pollution and waste management and to ban single-use plastics, such as shopping bags, food utensils, straws and Styrofoam food containers by 2020. “Reducing harmful waste streams such as plastics and Styrofoam is one of the first steps we are taking in to implementing a more effective solid waste management strategy that prioritizes waste prevention and minimization, while utilizing waste disposal as a last resort,” he said. The Prime Minister referenced the New Daily website about a video that went viral on the “world’s latest garbage emergency” showing 30 tons of plastic debris washing up on a beach in the Dominican Republic. According to the Prime Minister, these “shocking” events dramatize why there is a global and his Government’s push towards reducing plastic pollution in the oceans. More than 60 countries have already committed to introducing levies and bans to reduce single-use plastic waste, he said, adding that plastic pollution is extremely difficult to remove from the environment. “These plastics break down into much smaller micro-pieces which are often mistaken for food by birds, turtles, and fish. Tiny particles of plastics have been found to build up in fish brains, altering their behaviour,” Minnis said. He also noted that like other Small Island Developing States, The Bahamas is highly vulnerable to the impact of climate change. The Prime Minister said that his Government remains committed to ensuring that significant action is taken to mitigate natural as well as human-made pollution, including pollution resulting from the poor-functioning and poorly managed dump sites throughout our archipelago. “As the Ministry of the Environment continues to host town hall and consultation meetings with businesses, I want to encourage all Bahamians to do their part in reducing their plastics and Styrofoam use,” he added. 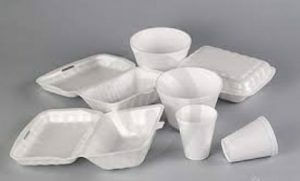 ROSEAU, Dominica, Jul 27, CMC- The Dominica government says it will ban the use of Styrofoam and certain plastic items from January 1, next year. Prime Minister Roosevelt Skerrit told Parliament that that the decision is in keeping with his administration’s vision to have the island become the first climate resilient country in the world. “Madam Speaker, consistent with the Government’s vision to create the world’s first climate resilient nation, our designation as “The Nature Isle” and our commitment to protect Mother Earth, effective 1st January 2019, a number of items considered to be inimical to the environment will be banned. 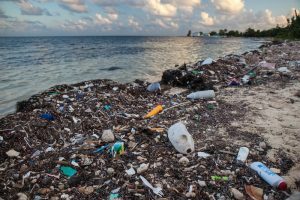 “These will include the following: plastic straws, plastic plates, plastic forks, plastic knives, Styrofoam cups, Styrofoam containers,” Skerrit said, adding that that the necessary legislation to enforce the ban will soon be prepared. “We must in every way deserve and reflect that designation,” he said of the island being known as the “Nature Isle”. He said the issue of solid waste management affects the perception of Dominica as the Nature Island and his government continues to grapple with the problem. “It is acceptable for a country to adopt measures which will help in the preservation of the environment,” he added.